This week I had a BIG birthday. But luckily for me, with big birthdays come beautiful presents, handmade with love and lashings of creativity, or chosen from lovely shops with taste and a fine eye. 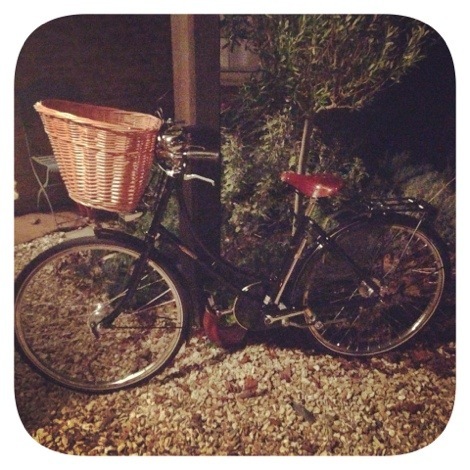 My biggest present was my new bike (it was just like being 10 again!). It’s a stunning vintage-style ‘sit up and beg’ black handmade steel bike, crafted by British company, Pashley, in Stratford-upon-Avon. It has the most amazing ding-dong bell and a fabulous front basket. Love, love, love! But here’s where I need your help. A bike with such beauty and personality needs a name to match, but I’m fresh out of ideas. What do you think? Do you have any suggestions? 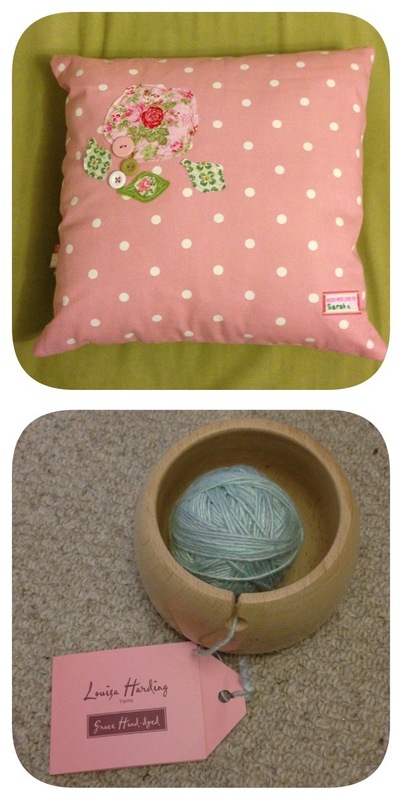 Other stunning gifts included a beautiful and original cushion from my mum, who is a really talented maker; an amazing wooden yarn bowl made by Jenny’s dad; a gorgeous owl doorstop from my work colleagues; welly toppers from my lovely friend Kirsty; and countless paper drawings and ‘puzzles’ from my elder daughter. I really do feel loved and blessed. Previous You can’t catch me I’m the gingerbread man! What lovely presents very lucky indeed. I’m thinking Charlotte as a name or Lily, something old fashioned or even a pretty name like Alice or Annabelle. Emus Upcycled Gifts is nominating you for the Liebster Award http://emusupcycledgifts.wordpress.com/2012/12/13/nominated-for-the-liebster-award/ whether you choose to participate or not (and for the “rules”), please know that I have found much inspiration from your blog. Betty? Something retro to match her I think. Wanted to pop by and let you know I tagged you in an ultimate Christmas wish list challenge. Looks like you might not be needing a thing though since the big bibibbbbirthday! Hot dog girl! Your blog is looking amazing! You can host your own blog school with all of the loveliness you have on here. Happy late birthday!